66141 has arrived for transformation into GBRf 66786. 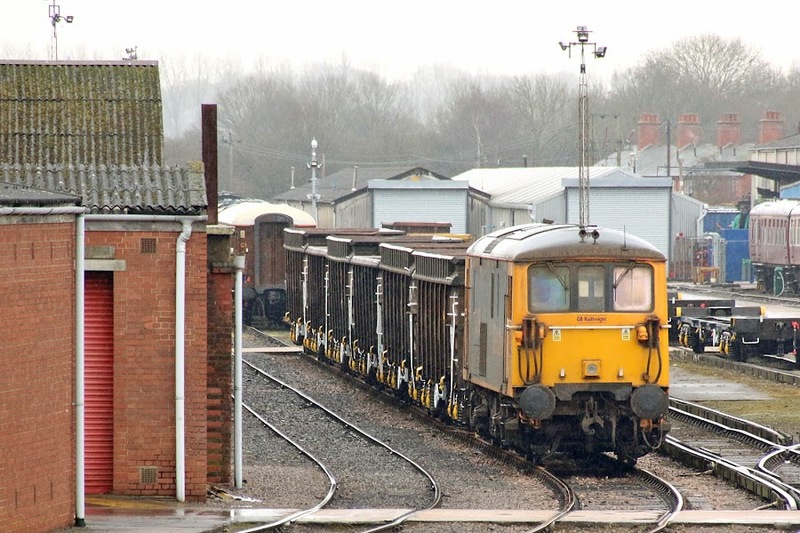 The loco appears to have run to Eastleigh on the morning of 6th March. 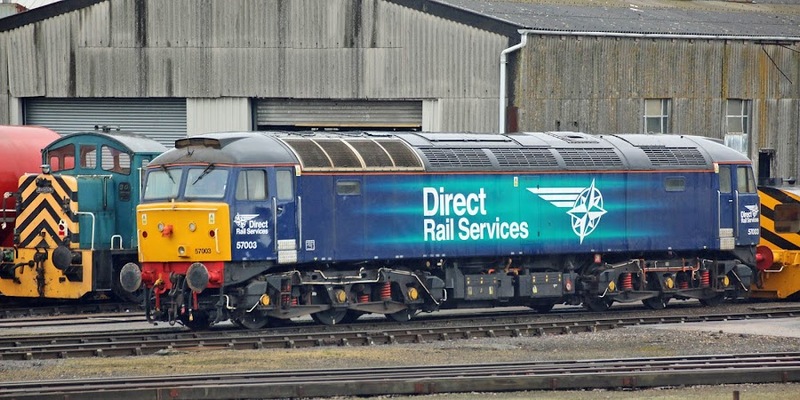 57304 Pride of Cheshire has been on the works since 21st February. The Geismar MPV sits beyond in the Raxstar area. 73109 appears to have arrived at Eastleigh on 27th February. 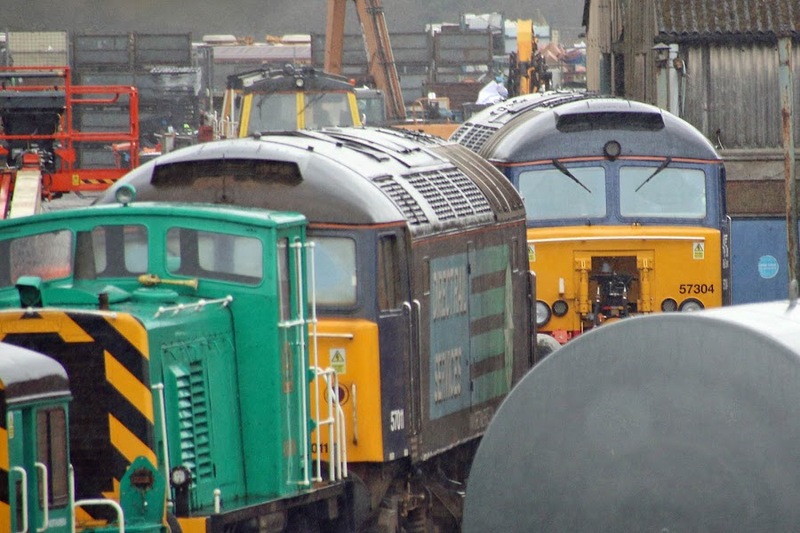 57003 in ongoing storage at the works. 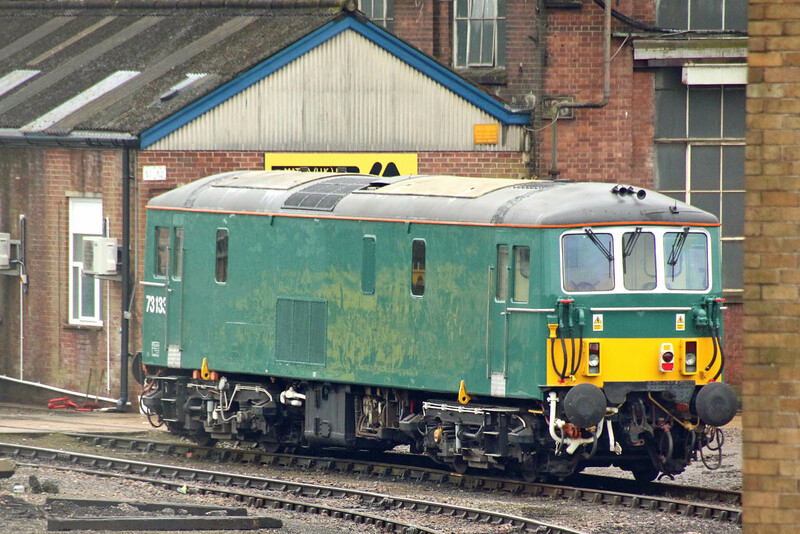 5912 is a Mk2F (Lot 30846, BREL Derby 1973) of Statesman Rail. 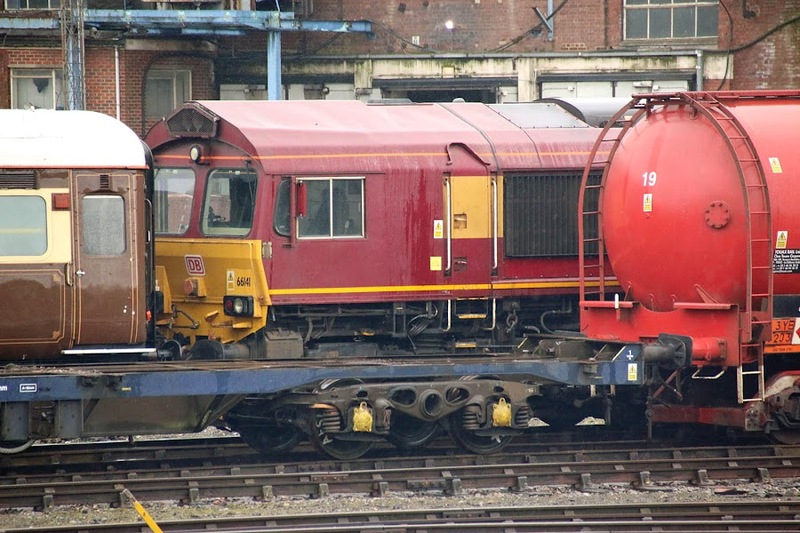 73133 in its current residence at Eastleigh Works.